Renowned for working with the most desirable properties across the globe and creating timeless elements in elegant colours and tone matching, Jumbo Group and its Gianfranco Ferré Home collection, will join forces with the developer for this exceptional project, which is situated on one of Europe’s most celebrated shorelines. 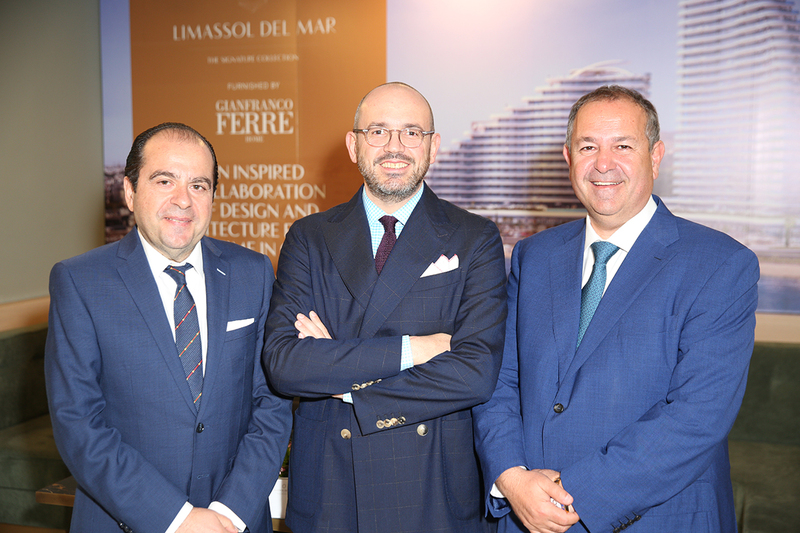 Limassol Del Mar is a result of the Cypeir Properties Ltd consortium which is composed by the Leptos and D. Zavos Groups, two of the largest construction companies in Cyprus. Each apartment at The Signature Collection will be individually furnished by Gianfranco Ferré Home, offering buyers a rare opportunity to become part of what was already one of the most coveted destinations on the island. Recognized as the “architect of fashion,” an icon of the Italian style and genius of geometric patterns, Gianfranco Ferré, through the homonymous House, will bring a new level of quality and design savoir-faire to the project. 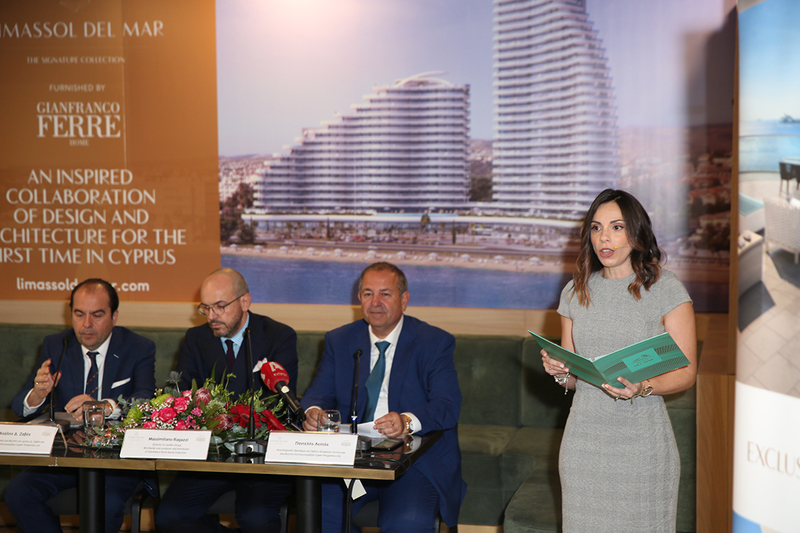 Mr Michalis D. Zavos, CEO of D. Zavos Group and Managing Director of Cypeir Properties Ltd, mentioned during his welcome speech: “Limassol Del Maris much more than just another development on our island, it reflects the implementation of the vision we have for the Cyprus of tomorrow. It is a landmark project for the construction and developing history of the country and we feel proud of the fact that we dared to invest in uniqueness and innovation, having the foresight and confidence that we could deliver on the potential for Cyprus to enter a new era of modernisation and evolution. The Signature Collection offers a range of two to six bedroom luxury apartments and penthouses. They feature beautifully crafted terraces with dual-aspect panoramic views across the Limassol coastline and beyond, with apartments available on different floors. The project’s architectural design is signed by the internationally acclaimed company Benoy of London, along with UDS Architects, the company’s local collaborators, is surrounded by tranquil gardens and ornate pools, creating an idyllic location in a city offering a perfect combination of old town charm and cosmopolitan living. The multi-award winning Limassol Del Mar is a world-class development, in the ultra-desirable coastal Limassol, with an unobstructed sea view from all the apartments. This landmark development consists of luxury residences, five star facilities and services as well as high-end shops and restaurants. Cypeir Properties Ltd is a joint venture between two of Cyprus’s most renowned developers, and together they are delivering Limassol Del Mar. The Leptos Group has become synonymous with refinement and excellence in quality design, construction and development services in Cyprus and Greece and operates mainly through various companies, two of which are listed on the Cyprus Stock Exchange. Today the company operates offices in Paphos, Limassol, Nicosia, London, Moscow, St. Petersburg, Kiev, Beijing and Dubai with affiliations throughout the globe. D. Zavos Group is one of the leading land and building development companies in Cyprus. Established in 1980, they have proudly developed a reputation for building successful leading edge residential estates and commercial projects at prime locations in Cyprus. 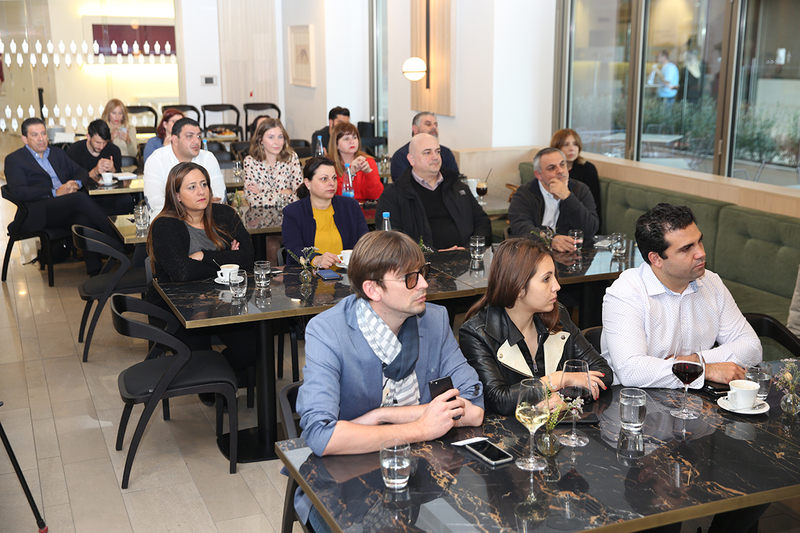 Today the company operates offices in Limassol, London, Amman, Cairo, Moscow, with affiliations throughout the globe. 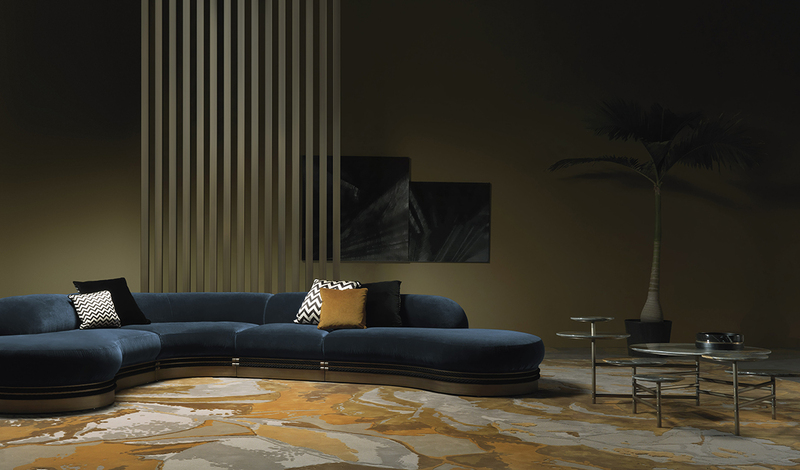 Jumbo Group is one of the most successful companies in the Italian luxury interior and furniture industry. Jumbo Group’s creative proposal is declined along five different Interiors collections, offering a wide and varied range of styles and designs, all characterized by the same company values: innovation, craftsmanship, high quality of materials, attention to details, love for art and passion for beauty. Gianfranco Ferré Home inherits the DNA of the fashion Maison in a perfect combination of contemporary charm and classic quality. An eclectic and unmistakable style made of endless suggestions, where elegance is always the protagonist, along with the quality of materials and the care for details. 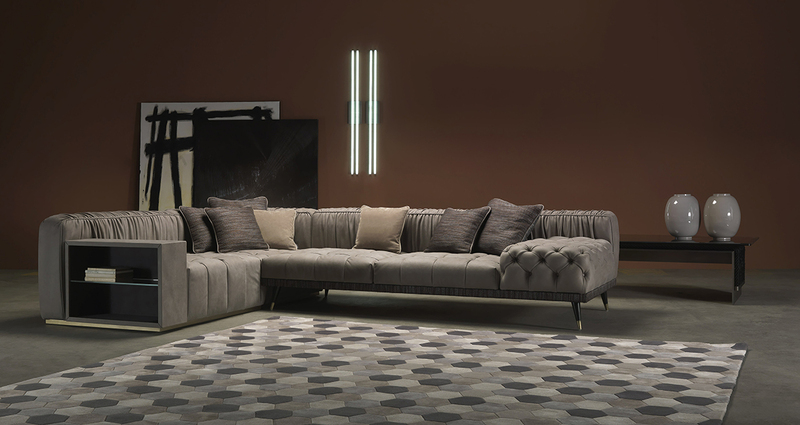 Gianfranco Ferré Home collection combines the elements of the brand’s creative heritage, such as geometries, sartorial shapes and the use of the menswear fabrics Prince of Wales, pinstripe and hound’s-tooth, with the sober appeal of contemporary elements. The result is a transversal proposal, expression of a metropolitan and international lifestyle, able to tell different stories and to fit into different environments.